Hello! I’m Sara, a twenty-something writer + blogger from Toronto, Canada. I love beauty, and strive to fill every aspect of my life with as much of it as possible. I hope you’ll find bits of it here on my blog, whether it’s in the form of pretty home decor, a delicious recipe, an inspiring book, a piece of advice, or the perfect shade of lipstick. A little bit more about me: I’m really good at sleeping and really bad at doing it at appropriate times. As a natural night owl, I prefer to stay up marathoning tv shows, devouring books, or curled up watching movies with a mug of tea, and dealing with the regret in the morning. I get excited about musical theatre, feminism, handsome British actors, and videos of animals knocking over small children. My special talents include ordering the best thing on a menu, building IKEA furniture, and not being able to drink a glass of water without dribbling on myself. My blog is a little peek into my world: the things I enjoy, the people I enjoy them with, and a few things I’ve learned along the way. Know that this is a collection of some of the best, shiniest moments of my life, not the whole of it. With all that said, welcome! I’m glad you’ve found me, and I hope you stay a while. Grab a snack, get comfortable, and happy browsing! 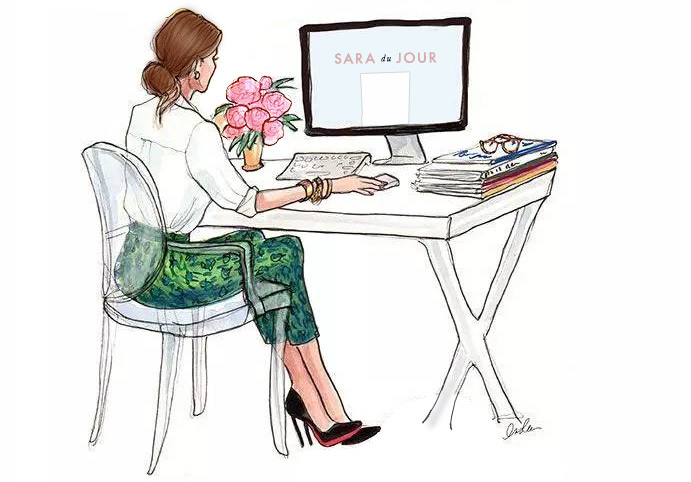 For business inquiries, please contact me at saradujour@live.com.